Apple iPhone 5 vs Samsung Galaxy S III: How do they Stack Up? Are you in the market for a new smartphone? Well I am and it is not an easy choice. I have been a loyal Apple customer for the past several years. I not only own the iPhone 4 and 4S but several Macs, iPads, and iPods. Despite my Apple loyalty, Samsung’s Galaxy S III is catching my interest. Despite the competition from Samsung, Apple for the first time owns over 50% of the US smartphone market, receiving a boost in sales from the iPhone 5. Android continues to own 61% of the smartphone market in Europe with Samsung the leading smartphone manufacturer owning 44.3% of the market (Kantar Report). The iPhone 5 is still more expensive but bargains can be found. The iPhone can be purchased for $50 below retail price ($149.99) with a two-year contract across all the major carriers at BestBuy Mobile. A couple of weeks ago, Walmart offered the iPhone 5 for $127 with a 2-year contract. When you stack these phones up against each other it is hard to find a major difference. Here is a comparison, compiled by Staples. iTunes and the Apple Store help set the iPhone 5 slightly ahead of Samsung Galaxy S III. However recent decisions to block Google APPs on the iPhone APP store have created dissatisfaction across customers. In the past couple of weeks the new Google Map application is now being offered. Overall there is no clear winner between the iPhone 5 and Samsung Galaxy s III. Perhaps the only thing to do is wait for the Samsung Galaxy S IV, which may be displayed at the CES event in January and released as early as March 2013. Mobile websites used more than APPs by Shoppers! The top retailer mobile websites and apps reached 60% of the smartphone owners during the 2011 holiday period according to a recent study by Nielsen. Today there are almost 100 million smartphones in the US. Adoption of smartphones are expected to continue to rapidly increase. Nielsen included Amazon, Best Buy, e-Bay, Target and Walmart mobile websites and APPs in their study. The study also found that more consumers use mobile websites rather than APPs. Men were more likely to download the retailer’s mobile APPs than women. Shoppers who used mobile APPs generally spent more time viewing the mobile content. The implication is retailers should find ways to encourage consumers to download their APP to create a deeper relationship. For more information, please refer to the Nielsen study. Blogs and Social Networks are increasing in importance in the shopping experience. The Women and Social Media 2012 BlogHer study reveals that information and advice provided on Blogs, Facebook, Twitter and Pinterest are all highly trusted by consumers (over 85%.) Blog information is the most trusted possibly due to the detail content provided in a blog compared with a brevity of a Facebook post. Given the high trust level of these sources, consumer purchase decisions are being heavily influenced by the information and advice provided by blogs and social networks. Blogs seems to have greater influence over the purchase decision than social networks (87% versus 54%, respectively). The study also shows a new social media entrant, Pinterest, has grown quickly to be a respected source. The study also reveals the impact of blogs and social networks across consumer electronic and beauty product verticals. For help with consumer electronic purchase decisions, 84% of survey participants relied on blogs and 56% upon social network information or status updates. For the beauty products vertical, 61% of the survey participants relied blogs and only 33% on social networks for help with their purchase decisions. This study supports the need for consumer product and service companies to refine their marketing strategies to address the growing importance of blogs and social networks. How will the results from this study change your company’s digital marketing strategy? 31 percent planning to start tests sometime in 2012. It is now safe to conclude, that tablets will change the shopping experience and provide retailers with more opportunities to build a relationship with their customers. What other ways do you think retailers’ will use Tablets? What will be the most popular use? What are some of the latest developments? • Sports Illustrated recently announced it will be offering subscriptions to digital editions on Android smart phones and tablets. The Time, Inc. publication will offer readers options for a variety of electronic and print formats. An iPad version should eventually become available once issues with limitations are ironed out with Apple. Details on packaging and pricing of the digital subscription have not been released. • Amazon’s Prime Member service will now offer its member access to 5,000 movies and TV shows at no additional cost. And, the service is offered commercial free (well, at least for now). This is in direct competition with Netflix and YouTube. Amazon is also welcoming self-published e-books through its Digital Text system which allows writers to upload unedited manuscripts for sale and readable on their Kindle. • Ryanair, an Irish budget airline, is planning to sell targeted advertising aimed at people booking tickets at home and checking in online. Having ads on boarding passes is not new. What is new is the ads will be much more precisely targeted to the individual traveler. This will allow Ryanair to command higher ad rates from their advertisers. • Apple announced a new subscription service for digital content sold through the iPhone and iPad. Two magazines, Elle and Popular Science have signed on to the new service. Publishers are continuing to struggle with Apple regarding the terms for sharing custom data and ad revenue. As these issues get ironed out, look for for magazines to become available. What does all this have in common? For consumers, the abundance and availability of reading material is continuing to move into the digital world. Consumers will need to adapt as traditional print subscriptions will become less relevant. Online marketplaces like Amazon will leverage content, like movies, to drive consumers to subscribe to their premium services. Airlines will use their captive audiences as source of revenue to help subsidize their up and down profits. So how is the way you read your favorite magazine, watch a movie, or look at your boarding pass changing in the digital world? Is your business managing its Digital Footprint? Just the other day I was talking to one of our partners about some new work for one of our clients. He was telling me how he is still struggling to convince a couple of his clients about the need to extend their efforts beyond their site…something I would call expanding their digital footprint. A digital footprint is the data trail left by activity in the digital world. Information is captured through interaction with web sites on the internet, social media sites, mobile applications, scanning loyalty cards, and the list goes on. For consumers, your digital footprint is driving how you are being targeted by marketers for their ads, offers, products, and services. Marketers see it as a source of fresh data to help profile and target consumers. And, it can also determine your reputation based on the posts, comments, and images you leave on social media sites. For your business, a lot of similar factors are involved. However, the stakes are much higher. Your ability to generate sales, keep customers, and attract new customers is impacted by your digital footprint. Your brand reputation is at stake. It can be as simple as your site being found by a search engine to how you respond to an unhappy customer’s Facebook post. A business needs to have a practical digital footprint strategy and tactical activities that keep your business visible and vibrant in the digital world. So how can you get started? There are simple steps you can take and a host of free tools available out there to help you. • What are your online objectives? • How do your customers or audience interact online? Do they frequent social media sites like Facebook, YouTube, and Twitter? Are they business customers more likely to be using LinkedIn? Do they actively use their mobile phones? How to they find you? How do they find your products, services, or group? • How can you interact with your customers and followers? See where they hang out. See how you can leave comments and respond to posts. All businesses in all industries need to examine how their digital footprint impacts their business. So will you take a close look at your digital footprint and how it impacts your business in the digital world? Are you in step with the evolution? A recent article in the Wall Street Journal, “The Year Ahead for Media: Digital or Die” , does a great job outlining how digital media is crushing traditional media. We are certainly living through the changes with our clients in the retail, publishing, and business services sectors. So how will you evolve your business in 2011 in the digital world? Are you using a Tablet? CES 2011 is less than One Day away. There is already speculation that this year’s event buzz will feature the WAR OF THE TABLET COMPUTER.! Forrester is predicting that over 82 million Americans will own a tablet — or more than one-third of U.S. adults — will own a tablet computer by 2015. 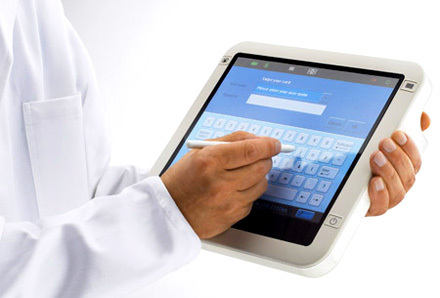 Forrester estimates that 10.3 million tablet computers were sold in 2010 and predicts sales of 24.1 million this year and 44 million by 2015. The reason Tablets computers are experiencing this rapid growth is because they are providing practical solutions that can be used in business, at school and at home. The tablet is certainly helping productivity but it is also becoming a lifestyle device. At home, it will be used as a TV remote, the new cookbook with videos, review your stock portfolio, a new entertainment device for the kids in the back seat of the car and much more. Schools are also becoming major consumers of tablets to support new learning initiatives. The Wellesley, MA school system will be using tablets. Then there is your favorite restaurant that is now featuring their wine list─on a tablet! While many of the pundits predict that Apple will continue to dominate the tablet marketplace, there will be some fierce competition. Google’s Android operating system, Microsoft’s Windows and platforms from Hewlett-Packard, BlackBerry maker Research In Motion, and Nokia are all stepping up their efforts to capture the market. So how will this change how you are delivering your digital content in 2011? It is time to take a hard look at Tablets.